Chromecast, Amazon Fire TV or Roku TV Stick review: What did you buy this holiday season for online TV streaming? The market for digital transmission device for online TV streaming, internet TV has two different levels of devices. While the top TV streaming devices includes Amazon.com (NASDAQ: AMZN) Fire TV, Roku 4 TV which costs $99.99 and $129.99, respectively, there are cheaper ways to serve the most consumers need to get internet TV services. Instead of paying $99, people prefer the device with lower profile streaming player that connects directly to an HDMI port on their TV sets. Chromecast, Amazon Fire TV, Roku Streaming Stick costs less than $50. Amazon Fire TV Stick price $39.99 to 49.99: The Amazon Fire TV Stick is perhaps the first choice for streaming services. It works just like the more expensive fire TV box and if you do not want to play the high end games on Amazon then there's really no reason to spend more money. The extra $10 is required to get access to voice control function of the device, called Alexa. This is a fun feature and is not absolutely necessary, but it is well worth the $10, because Amazon has deliver a great job, useful search results. For example, if you say, "Show me the Julia Roberts' film, This device can show you an ordered list of what is available to both free and paid content to watch online. Amazon Fire TV Stick also comes with one of the best controller in the world of the online streaming box devices. It's not as fancy expensive Apple TV but it's close. In a sense, because there are more buttons, it is actually easier to use. Amazon also allows all user-friendly features, especially for members of Prime. When you order your account, Fire Stick comes already with the user information configured. All you need to do is plug that in your TV set. Roku Streaming Stick price $49.99: There's nothing wrong with Roku Streaming Stick, and in many ways is a good choice. Sometimes it can feel a little slow to applications in a way as compared to the fire-stick, but that do not creates major problems. Perhaps the most negative part of the Roku TV device is one that does not matter to many people. Of all the great Streaming players, Roku has the low style. Roku streaming box is a little ugly and lacks the elegance of Apple TV and Amazon products, also the cool design bulb factor of Chromecast TV. Roku is very strong in general in their content and has a large selection depth of applications including video with Amazon Prime. It offers a new option for voice and is very useful for games, an area where Amazon is stronger anyway. It is a suitable device but a little less than Amazon fire TV stick and costs the same as the version of the voice control of Amazon fire player supports. You are not wrong if you want to buy Roku Streaming Stick but not the best in its class. Google Chromecast TV price $35: For Google Chromecast What is important is its price. The price of Google Chromecast is only $35, which makes it the cheapest online TV streaming stick. The design is also a plus point for the new look of Chromecast TV stick. It's great to see the design, which probably does not matter, because it is connected to the back of the TV in most cases, but it also has a flexible HDMI cable. This is a big advantage in niche HDMI televisions that can be tightly bundled, so it is difficult to link fire or Roku Streaming Stick stick with Chromecast internet TV device. 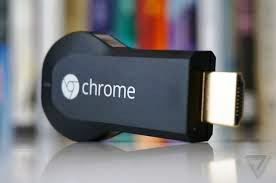 The negative point of chromecast is that this device lacks a remote control, users need to control it from their smartphone, tablet or laptop. This can be perfectly fine for people sitting on the couch with the device in hand, but to be difficult for someone else. In addition, Google's system has the advantage of serving as an intermediary between your computer, mobile phone or TV. Everything can be played on these devices and stream to your TV with Chromecast. This is an interesting feature, the versatility of the Google chromecast players. The absence of an actual distance makes it difficult for many people to handle Chromecast. Moreover, it is perfectly acceptable online tv Streaming device..